For most of the Church’s history, in most Christian denominations and movements, women have been denied the privilege of serving as leaders. Just one or two New Testament verses, which do not seem to allow women to have a ministry which involves public speaking (1 Cor. 14:34) or which involves teaching a man (1 Tim. 2:12), are frequently cited as the reasons women cannot be leaders. There are however, several women mentioned in the New Testament who did function as church leaders. Even though these women are mentioned briefly, they do serve as valid biblical precedents which call into question the widespread and persistent belief that the Bible teaches that church leaders can only be men. So Christ himself gave the apostles, the prophets, the evangelists, the pastors and teachers, to equip his people for works of service, so that the body of Christ may be built up . . . Ephesians 4:11-12 (NIV 2011) (cf. 1 Cor. 12:28-31). In this article I use Paul’s list as a reference point, and show that there was at least one woman in the New Testament who fulfilled each of these ministerial leadership roles. And it will be in the last days,” says God, “that I will pour out my Spirit upon all flesh, and your sons and your daughters will prophesy; your youth will see visions and your seniors will dream dreams. Even on both my male servants [ministers] and on my female servants [ministers], in those days, I will pour out my Spirit and they will prophesy. Acts 2:17-18. Prophets were people who spoke for God. Their speech was inspired by the Holy Spirit and it may or may not have included foretelling. In the early church, prophets provided guidance (Acts 13:3-4; 16:6), instruction (1 Cor. 14:31), strengthening, encouragement, and comfort (1 Cor. 14:3). Paul considered the ability to prophecy as being the most desirable of the spiritual gifts (1 Cor. 14:1); and he regarded the ministry of prophets as important and influential. Paul lists prophesying and prophets before teaching and teachers in the lists of ministry gifts in Romans 12:6-8, 1 Corinthians 12:28-30, and Ephesians 4:11. The term diakonos is always used by Paul to refer to a minister with a sacred commission; however in this one instance, where it is referring to a woman, the King James Version and some other English translations have unjustly translated diakonos as “servant.” Phoebe was a minister or deacon, and a leader or patron, in the church at Cenchreae. Sadly, this fact is rarely acknowledged in most older English translations of Romans 16:1-2. The church as a whole has been very slow to embrace the New Testament ideal of equality and mutuality among people regardless of race and gender (Gal. 3:28). This is shown by the fact that the slave trade and slavery was only outlawed in the “Christian” nations of Great Britain and the United States of America in 1833 and 1865 respectively, and by the fact that racial discrimination has only been declared both immoral and illegal in recent history. I am convinced that discrimination against church leaders on the basis of gender will also become a thing of the past, and that future generations will look at our present difficulties and debate on this subject with incredulity. 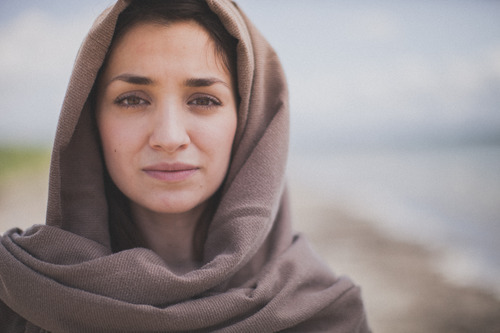 It would be wonderful if the Church as a whole would recognise that, according to the New Testament, women did function as leaders—as apostles, prophets, evangelists, and pastor-teachers—and that they were respected and valued in these roles by such people as the apostle Paul. In short, it is biblical for a woman to be a church leader. Moreover, if we deny gifted women the opportunity to exercise their leadership ministries, we reject some of the very people Jesus has appointed and given to his church. The church’s mission can only be enhanced and made more effective when gifted men and women minister together using their complementary skills and abilities. Men and women should be united in the cause of the gospel and in building up the body of Christ, as well as in equipping the people of God to reach the lost (Eph. 4:11-12). In his Homilies on the Book of Romans, fourth century church father Chrysostom preached favourably about Junia, and using Paul’s words, he acknowledged her as an outstanding female apostle. Lampe [in his Patristic Greek Lexicon] 139-40, 147 indicates over 250 examples of “Junia,” none of Junias, as was taken for granted by the patristic commentators, and indeed up to the Middle Ages. The assumption that it must be male is a striking indictment of male presumption regarding the character and structure of earliest Christianity. . . We may firmly conclude, however, that one of the foundation apostles of Christianity was a woman and wife. James D.G. Dunn, Romans 9-16 (Word Biblical Commentary, Vol 38B) (Dallas: Word, 1988) 894. Bernadette Brooten, “Junia . . . Outstanding among the Apostles (Romans 16:7)”, Women Priests: A Catholic Commentary on the Catholic Declaration, Arlene and Leonard Swidler (eds) (Paulist Press, 1979) 141-144, 141. Based on how the word is used in the New Testament, C.H. Dodd explains that the content of preaching (kerugma) in the New Testament was primarily concerned with the lordship and resurrection of Christ. Furthermore, Dodd defines preaching (kerugma) as “. . . the public proclamation of Christianity to the non-Christian world”. The Apostolic Preaching and Its Developments (Harper and Row, 1964) 261. The proclamation of Mary Magdalene, “I have seen the Lord”, may be regarded as an example of New Testament preaching (John 20:17-18). Kevin Giles, Patterns of Ministry Among the First Christians (Sydney: Collins Dove Publishers, 1992) 35. Rodney Stark, The Rise of Christianity (San Francisco: Harper Collins, 1997) 109. Quoted by Kevin Madison and Carolyn Osiek, Ordained Women in the Early Church (Baltimore: The John Hopkins University Press, 2005) 16. Priscilla’s name appears first in Acts 18:18, 26; Romans 16:3 and 2 Timothy 4:19. Luke, the author of Acts, was very careful in which order he placed names. This is seen in the shared ministry of Paul and Barnabas; whoever of the two was the most prominent in ministry, or the most recognised in any given situation, his name appears first. Stanley J. Grenz and Denise Muir Kjesbo, Women in the Church: A Biblical Theology of Women in Ministry (Downers Grove, Illinois: InterVaristy Press, 1995) 78. This article was first posted on newlife.id.au here.